Ridings Farm Bungalow at Ridings Farm in France Lynch, near Stroud, Gloucestershire sleeps 9 people. Ridings Farm near Stroud is located in the south Cotswolds village of France Lynch. This unique village sits on hewn-out terraces along the hillsides at the top of one of many local inter-connecting valleys, and its Cotswold stone houses lie along a series of narrow winding lanes. Located next door to each other on the owner’s working farm, these two semi-detached cottages, Ridings Farm Cottage (ref UKC3910 [Ridings Farm Cottage]) and Ridings Farm Bungalow (ref UK10685), are well appointed and equipped to provide relaxing havens for family and friends. After a busy day of touring, these properties will be an ideal retreat. Ridings Farm Cottage offers a generous entrance porch, a spacious kitchen/dining room and five steps lead down to a living room with a feature wood burner. There is also a double bedroom with en-suite facilities. Ridings Farm Bungalow also provides a generous entrance porch, a spacious kitchen and a large living room and separate dining room with beautiful views over the valley, each boasting a cosy wood burner. There are five bedrooms and four bathrooms in total. Both properties offer enclosed gardens with a patio and garden furniture, and a driveway for private parking. The owner’s fields can also be enjoyed, but please keep dogs on a lead because of livestock. These properties make ideal destinations for those wanting to explore the Cotswolds. They overlook Oakridge and Frampton Mansell, and walkers can enjoy the many footpaths and bridleways. The Cotswolds towns of Stow-on-the-Wold and Moreton-in-Marsh make for a good day out, as well as Bath, Cheltenham and Oxford. The shop is 1 mile from Ridings Farm near Stroud, with the pub and restaurant ¼ mile from Ridings Farm. These properties can be booked together to sleep up to 11 people. Living room: With wood burner and 42 Freeview TV. Dining room: With wood burner and patio doors leading to garden. Kitchen: With electric range, microwave, fridge/freezer, dishwasher, washing machine and tiled floor. Bathroom 1: With bath, shower attachment and toilet. Bedroom 3: With double bed and Freeview TV. Bedroom 4: With zip and link twin beds (can be super king-size on request). Initial logs for wood burners included. Welcome pack. Large, enclosed lawned garden with patios and garden furniture. 3 dogs welcome, to be kept on a lead at all times (livestock). Private parking for 3 cars. Oil central heating, electricity, bed linen, towels and Wi-Fi included. Use of owner’s field. No smoking. Holidays at Ridings Farm Bungalow, Ridings Farm run from Friday to Friday. Pets allowed at Ridings Farm - Ridings Farm Bungalow. For a better idea of where Ridings Farm - Ridings Farm Bungalow is, you can see Ridings Farm - Ridings Farm Bungalow on the map below. You can find more large holiday cottages (that's cottages which sleep 8 or more people) in Gloucestershire. If you want to see more large cottages, have a look at large cottages in Gloucestershire. 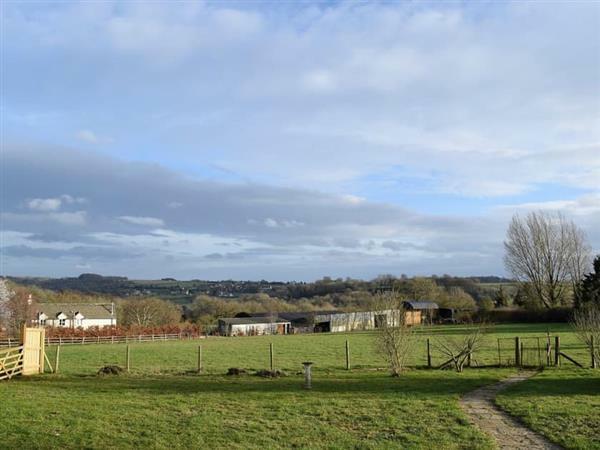 Ridings Farm - Ridings Farm Bungalow is in Gloucestershire; should you be on the lookout for a special offer, you can find all the special offers in Gloucestershire. It's always worth checking to see what is on offer at the moment. Do you want to holiday near Ridings Farm - Ridings Farm Bungalow (UK10685), you can see other cottages within 25 miles of Ridings Farm - Ridings Farm Bungalow; have a look to find your perfect holiday location.